The Reading Extravaganza was held during the month of March with a theme of Reading is Sweet! Elementary students were encouraged to set personal and class reading goals. The Extravaganza was a success! The students read a combined total of 485,642 minutes during the four weeks! To celebrate their hard work, the students and their families were invited to a family pizza/bingo/book fair night held at the school. During that evening, students ran a concessions that raised $400 for a Mission Haiti classroom. 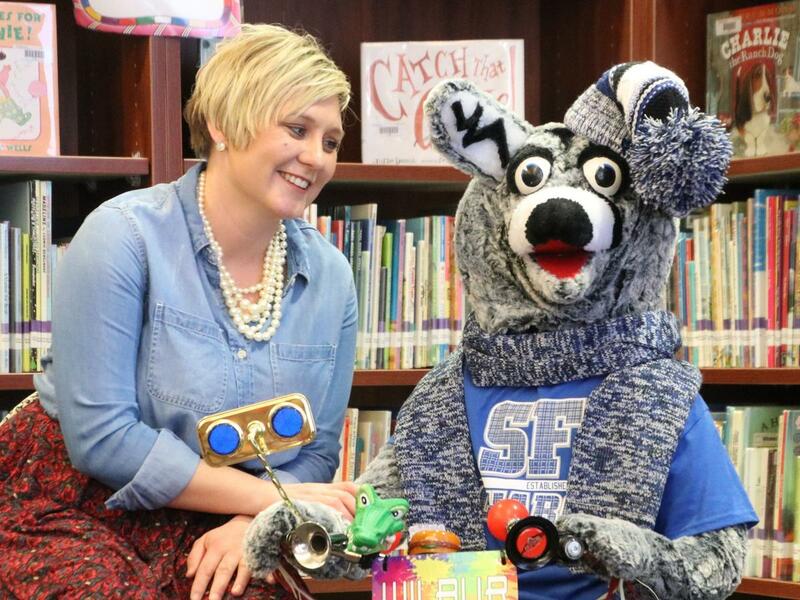 Some of our younger students were able to enjoy being read to and encouraged to keep making their reading goals by Wilbur the Coyote during the month. Also, Jim Oliver returned again and performed a hilarious puppet show for all of our elementary classes. The setting of the puppet show was a library and there was circus that was performed in it! Throughout the month incentives that are mainly donated from the community are given out to students to keep encouraging them to crush their reading goals. Any student that met all four of their goals during the month had their name put in the grand prize drawings, which were an overnight stay at the Ramada and a Sky Zone party package. The month ended with the students dressing up as book characters and the top six classes having a pizza party in their classrooms!